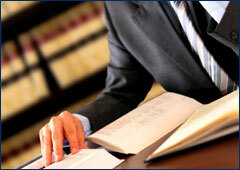 Our lawyers understand insurers' need for aggressive and efficient legal services. We seek creative approaches to the effective litigation, negotiation, and resolution of insurance defense cases, representing primary insurers, excess insurers, and reinsurers. We advise our clients regarding extra contractual liability, evaluation of exposure, and coordination of complex claims. Through our extensive involvement in insurance defense litigation, we have developed a strong knowledge base regarding insurance industry practices and policy provisions. We represent clients in all aspects of insurance defense claims, including those related to automobile accidents, trucking accidents, slip and falls, negligent security, premises liability, commercial liability, professional liability, workplace injuries and workers' compensation, deliberate intent claims, errors and omissions claims, and wrongful death claims. In our insurance defense cases and throughout our practice, we are committed to personal, hands-on attention, to regular and proactive communication and status reports, and to bringing excellent results on our clients' behalf. Our work is thorough, systematic, and principled. We have earned a reputation among our colleagues for high ethical standards and effective representation. Our attorneys provide a broad range of legal services to insurers, insured, and self-insured entities involving insurance litigation, appeals, regulatory, and arbitration matters. We also offer advice and counsel regarding risk management and preventative measures. Listed below are some of the specific areas covered by our practice.